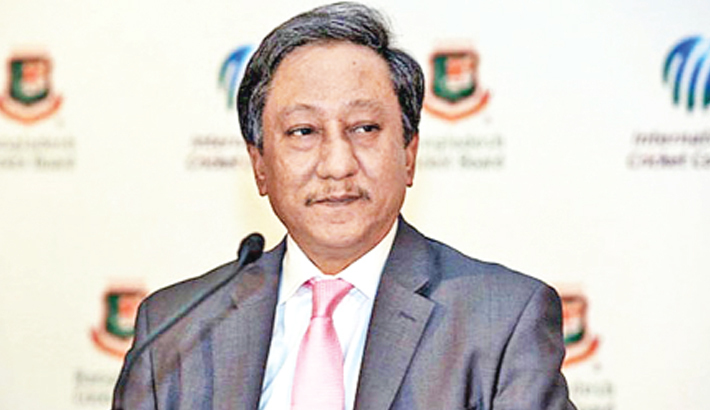 Bangladesh Cricket Board (BCB) President Nazmul Hasan said on Monday that he does not see any chance of Shakib Al Hasan taking part in the ongoing Dhaka Premier Division Cricket League (DPL) despite the all-rounder’s insistence for permission to play the tournament. Nazmul earlier stated that they are not looking to risk Shakib Al Hasan as they look forward to get him fully fit for upcoming World Cup in England later this year. “It is true that he wants to play and he even asked my permission,” Nazmul told reporters at Sher-e-Bangla National Cricket Stadium on Monday. “We will seek doctor’s advice on March 20 and later decide next course of action as per the instruction of the physician,” he said. “To be honest I don’t see any chance as far as his taking part in the DPL is concerned,” he said. “Their name was not included in the player’s draft and one cannot be allowed to play just because he wants to play,” he added. “So you cannot be included all of a sudden for just wanting to play,” he said. Shakib was ruled out of the three-match ODI series against New Zealand and the following two Tests after sustaining a finger injury during the Bangladesh Premier League final between Dhaka Dynamites and Comilla Victorians. Shakib copped a blow from Thisara Perera while batting, and it was later revealed that he had suffered a fracture. Shakib is currently going through a rehabilitation program to recover from the injury.